Sara Knight, senior lecturer at the Department of Education at Anglia Ruskin University received a Highly Commended Award at the Nursery World Annual Awards ceremony for her book Risk and Adventure in Early Years Outdoor Play last month. 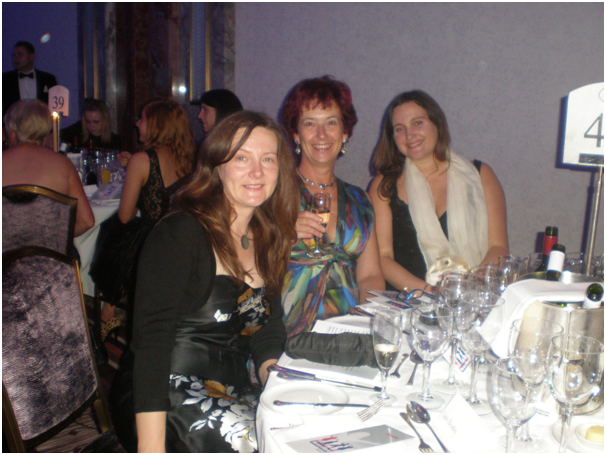 The evening was hosted at the Lancaster Hotel in central London and the book, published in March, was one of the finalists in the category ‘Staff Resources’. Sara and her sister attended the black-tie event along with Sara’s editor, Jude Bowen and Camille Richmond from the marketing department. This entry was posted in SAGE Connection, SAGE news and tagged authors, Awards, education, Sara Knight. Bookmark the permalink.